Looking for a van to rent? Westwood Vans is your first choice for van rental in Wigan. Whatever you needs we have the right van for you. Customers return to our car and van hire centre in Wigan again and again because they know that with Westwood Motor Group, they will be able to rent a high quality vehicle that will provide them with great value for money and reliable motoring. Car rental specialists Westwood Motor Group are the name to trust for car rental in Wigan. All of the cars available for rental at our Wigan car hire centre are provided for you with a full valet and insurance. When you rent a car from our Wigan car hire you can be guaranteed relaxed no pressure sales tactics and a level of customer service that leaves other car rental specialists standing. You will be guaranteed, great service and competitive car rental prices. 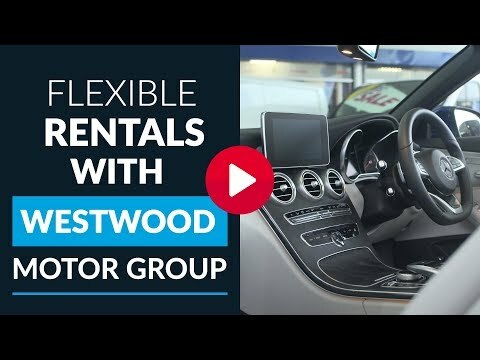 With Westwood Motor Group car rental Wigan, we aim to make sure that renting a car is a hassle free and an enjoyable experience. Our great service to you starts as soon as you contact us and continues during the period of rental of your car. Please find below a list of our Frequently Asked Van Rental and Car Hire Questions, just click on a question to see the answer. If you cannot find a question that’s relevant to you, you can contact us by email or send an online enquiry. 1. MINIBUS HIRE! What restrictions are in place to hire a minibus? WESTWOOD VEHICLE HIRE DO NOT provide insurance for the Minibus. YOU must provide WESTWOOD VEHICLE HIRE with a fully comprehensive insurance certificate which covers WESTWOOD VEHICLE HIRE’s Minibus throughout the hire periods. 3. How old do i have to be to drive vehicles? WESTWOOD VEHICLE HIRE do offer an excess waiver on the £750 Be sure to ask about lowering the Excess when you book your vehicle. Excess on all hire’s is £750. 5. What time can I collect my vehicle? 6. If any thing happens to the vehicle what am I liable for? The deposit that is required when booking a vehicle is part of a £750.00 excess. WESTWOOD VEHICLE HIRE has fantastic options to waive the excess to a manageable charge, please ask for details. In the event of an accident the full excess is taken in all cases, until the insurance companies accept liability. Certain items are not covered by insurance and are therefore chargeable to the hire in full i.e. Windscreen damage, tyre damage or punctures, engine damage due to lack of water, oil or any other fluids, interior damage (cigarette burns, rips to seats etc. ), fuel contamination. 7. Can I leave the vehicle outside your depot out of working hours? No! Because of theft and damage risks, deposit repayments can be withheld if this is done. 8. Can I take the vehicle abroad? Yes, as long as we have enough time to make the necessary arrangements. 9. How much fuel will be in the vehicle? All our vehicles are supplied with a full tank of fuel. Hirers must return vehicles with a full tank. 10. Can I leave a cash deposit as I don’t own a debit card? 11. I Have the new style licence but I cant find the paper section is this ok? No! The insurance companies are very strict; you must produce the full driving licence. 12. What are WESTWOOD VEHICLE HIRE opening Hours? 13. Can I still hire if I have got a few points on my licence? Depending on what the points are for and how old they are it may still be possible to hire, contact rental staff to check. 14. Have I got unlimited mileage? No! If the hire is 24hrs then you get 150 miles included in the price any additional mileage is charged at 10p per mile plus vat. If the hire is for a longer period then the allowance is greater. 15. WESTWOOD VEHICLE HIRE can Refuse a Hire?